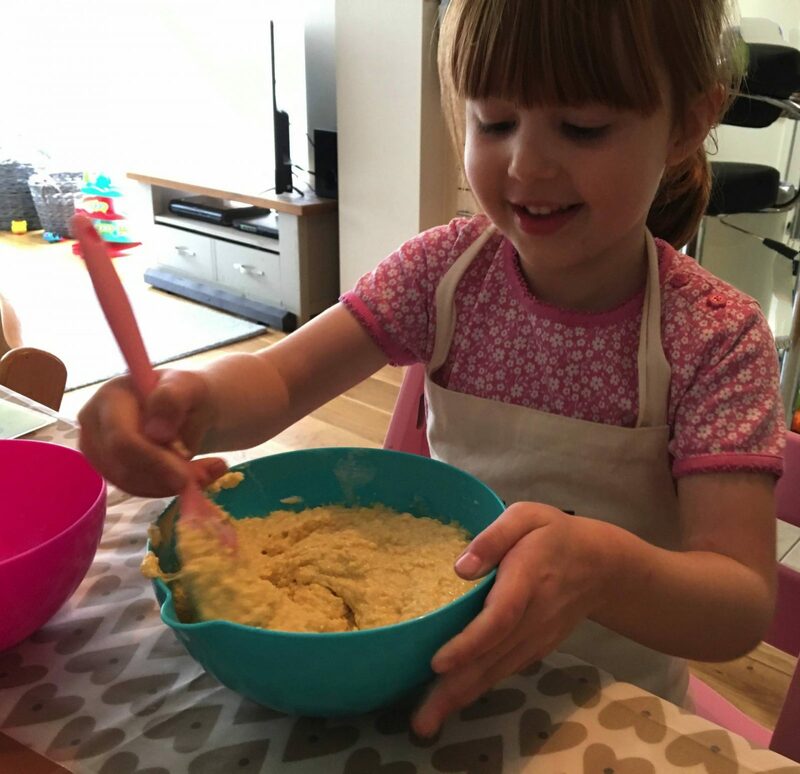 One of the things I love to do most since becoming a mummy is bake. 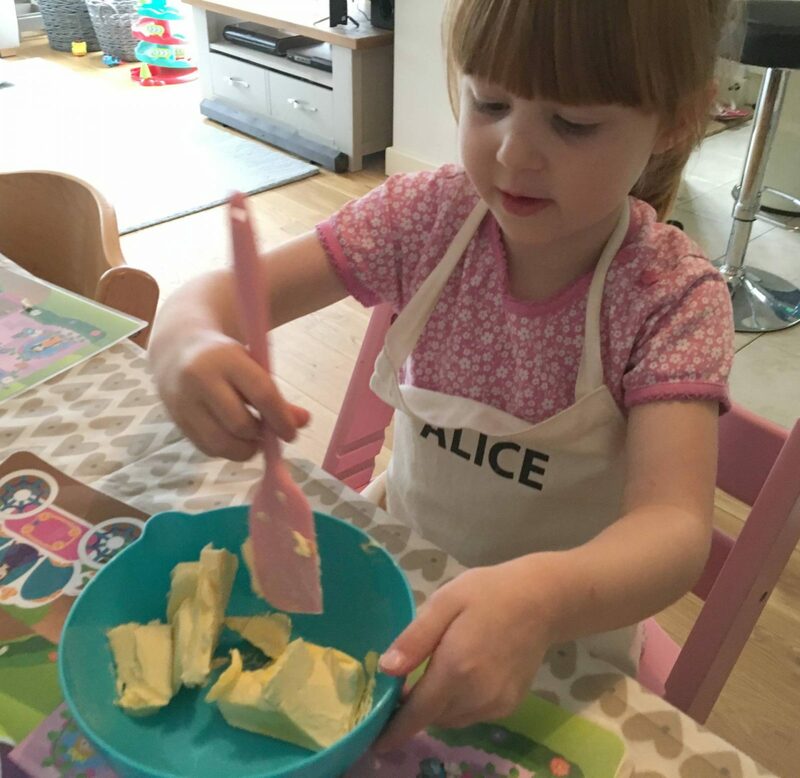 Alice and I used to bake all the time, it has become tricker since having Holly. But I still always make time for it, as we both have lots of fun. Plus we get to eat it too! Vivid recently sent us some products from their Real Baking range and we have been giving them a try. We started with the Great Baking Set. 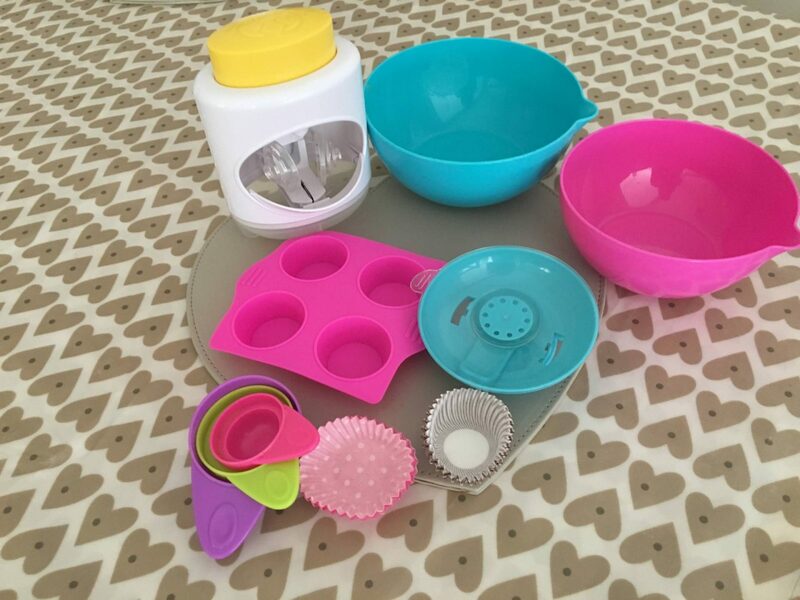 Included in the Great Baking Set is 16 cupcake cases, 4 piping bags, 3 measuring spoons, 1 large and 1 small bowl, 1 suction cup, 1 egg cracker, 1 silicone baking tray and 1 icing nozzle. Alice and I set about making our cake mixture. The size of all the equipment was perfect for Alice and she was able to do a lot of it herself. I helped her measure all the ingredients out, and she popped it in all into the bowl. When we have baked in the past and it came to adding the eggs, I always did it. I have never come across an egg cracker before and it’s the best thing I’ve seen. You pop the egg in-between the two suction points and then press on the top and the egg cracks, with it all going into the bowl at the bottom. Then you just remove the bottom part it and pour the egg into your cake mix. 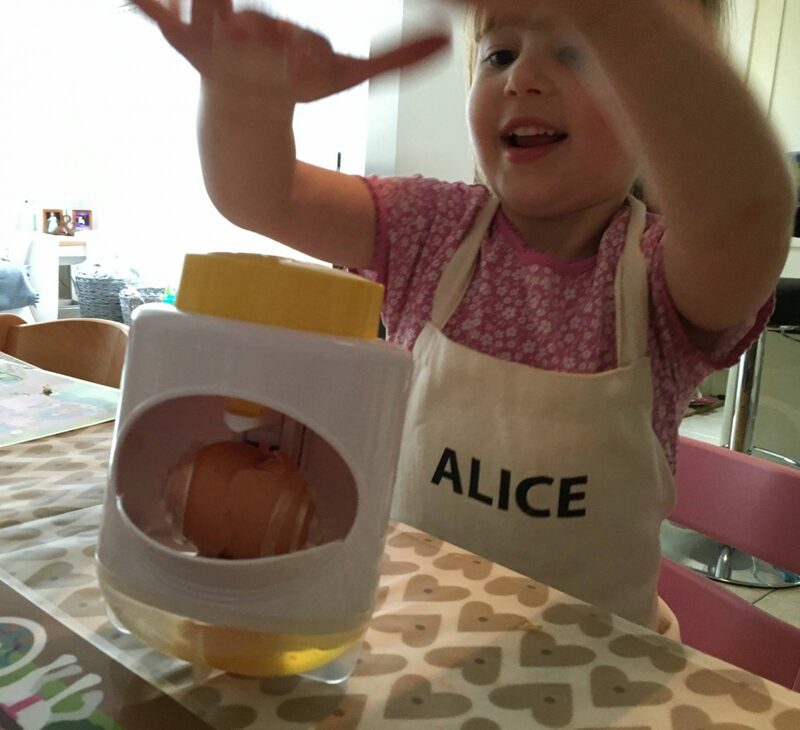 Alice loved that she was now able to do the egg part herself. Once the cake mixture was ready it was time to make some cakes. The set did include some traditional cake cases to make cakes. 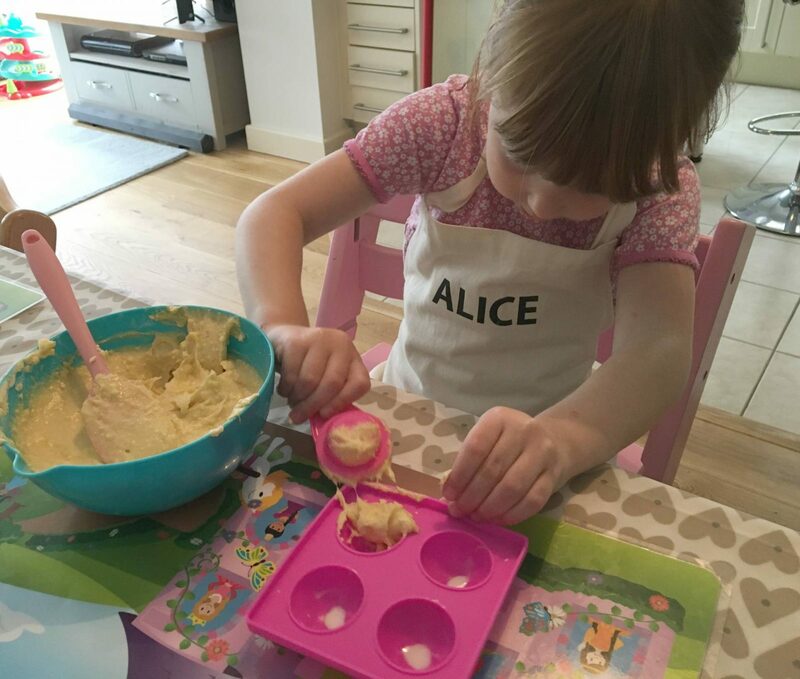 But we had been sent the Cake Pops set and Alice was desperate to make them. 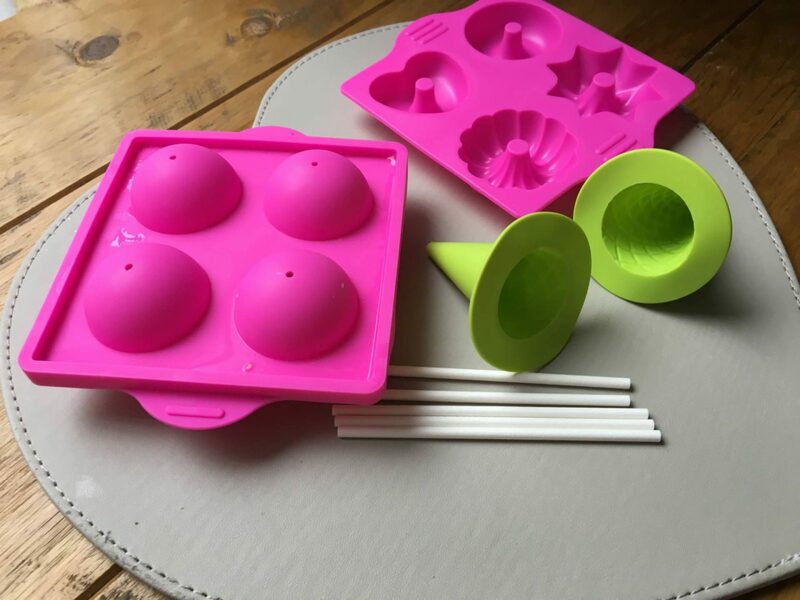 The Cake Pop set included 12 lollipop sticks, 2 silicone mould sheets, 2 cone moulds, 1 mini doughnuts mould sheet. To begin making the cake pops you need to coat both the mould trays with baking spray or vegetable oil. Then fill each mould with the cake mixture. 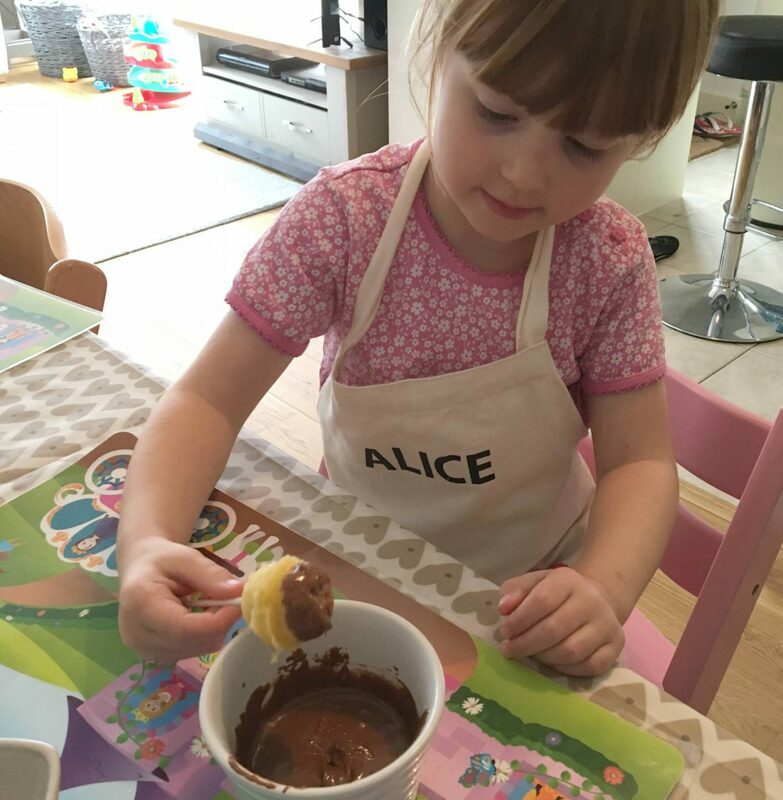 Alice was able to do this easily using the spoons from the baking set. You place the second mould over the filled mould and secure it. Then pop it into oven for 10-15 minutes. Once they are cooked let them cool down before you decorate them. Or spend the next 15 minutes telling Alice they are nearly ready to decorate!! You will need to have a bowl of melted chocolate to decorate the cake pops. 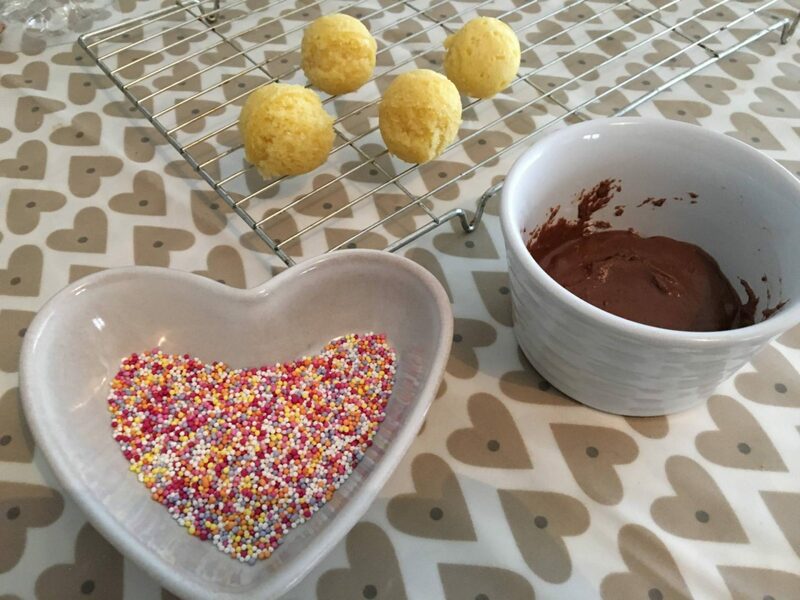 To start you dip a cake pop stick into the bowl of melted chocolate and carefully place the stick into the cake ball, Make sure it is secure, we placed ours in the freezer for a couple of minutes to make sure. Then carefully coat the cake pop balls in the chocolate. We had sprinkles to decorate our cake balls and once the cake was coated in chocolate, Alice then dipped the cake ball into the sprinkles. What would have been handy at this point, is a holder to place the cake pops in. But unfortunately one isn’t provided and I had to use a mug. The cake pops looked lovely and tasted even better. Holly was our official taster when she woke up. I think next time we will get even more adventurous with our cake decoration. 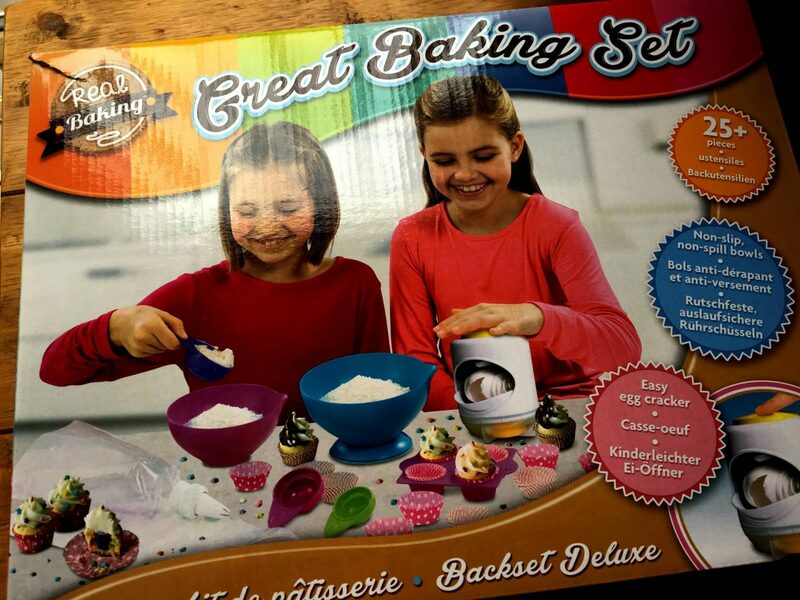 Discolure: We were sent both the Baking Set and the Cake Pop set for the purpose of this review. All views and opinions are my own. Ooh it all looks a bit fiddly for me, but the cake pops are absolutely beautiful, I bet they loved making and eating them! Oh wow, love the look of the egg cracker. I’d almost buy the set just for it! 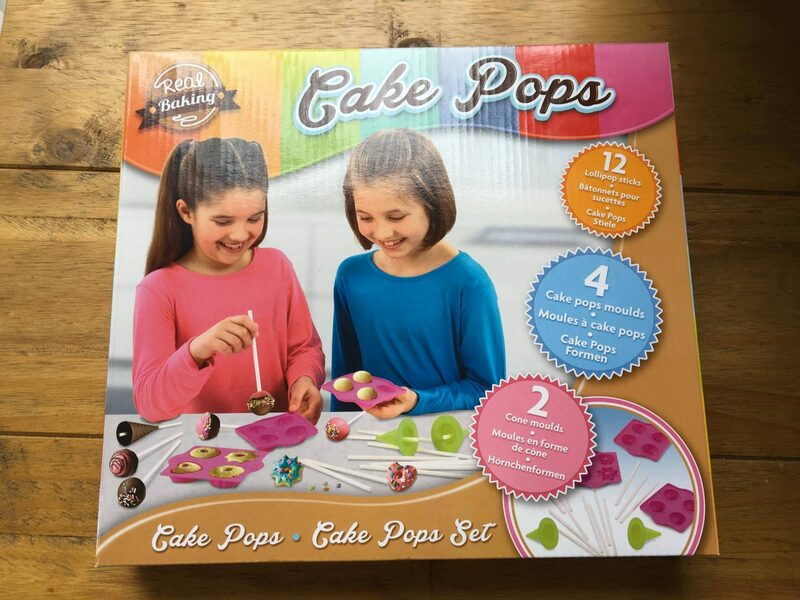 Looks like a fun set for little bakers, and the finished cake pops looks delicious! This looks great. I think I need an egg cracker for myself! Oh wow. Good to know the cake tasted lovely. Your little one looked very busy. Oh wow! Looks like so much fun! This looks really fun and sounds like a fantastic activity for the girls. 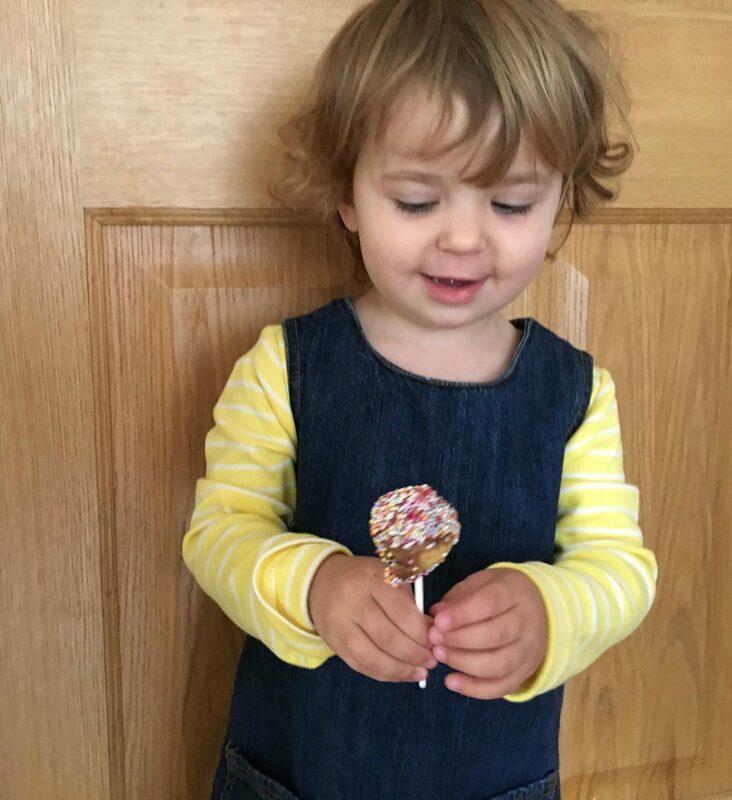 We love baking and cake pops are very cool!